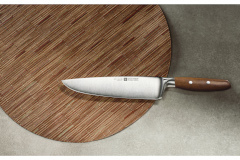 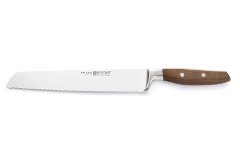 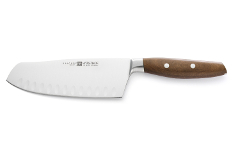 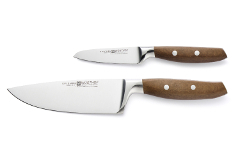 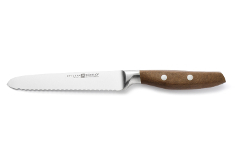 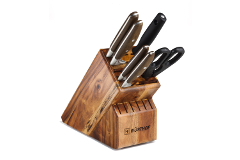 Wusthof's new Epicure collection incorporates German design and steel with an American-made wood fiber handle. 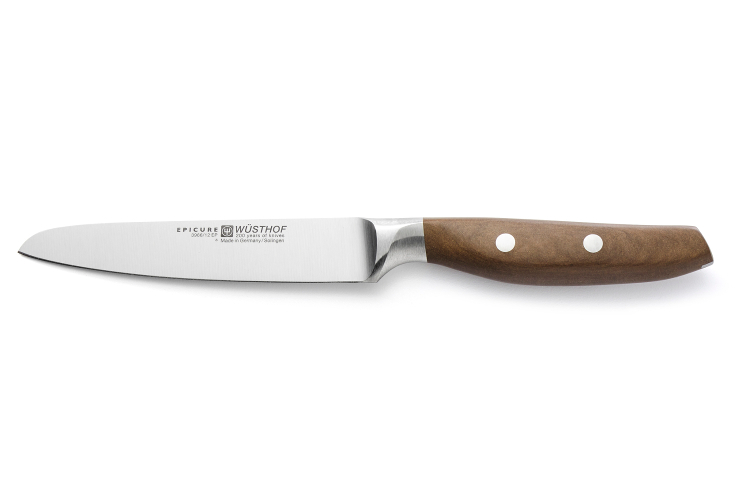 The blades are wider for easier, more agile handling with a solid bolster for heft, finger protection and a secure grip. 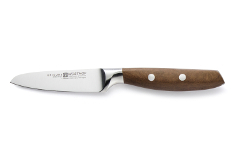 The handles are made with Richlite, a composite of recycled and sustainably-grown wood fibers. The handle design is slightly spherical for added comfort and an elegant silhouette.